​Johann Gottlieb Weber was born in Walter, Russia on August 21, 1851, the son of Jacob Weber and Catharina Klippert.. He was baptized in the daughter colony of Brunnental, Russia. Gottlieb married Anna Marie Wagner on December 29, 1874 in Brunnental. The service was performed by Pastor Wilhelm Stärkel from Norka. Rev. Stärkel had served a congregation in Wisconsin during the 1860's and encouraged many of his countrymen to immigrate to America after he returned to Russia. Anna Marie was born in Frank, Russia on April 8, 1856, the daughter of Johannes (John) Wagner and Katharina Batt. The Wagner's also moved to the daughter colony of Brunnental and Anna Marie was baptized there. Three of Gottlieb and Anna Marie's eleven children were born in Russia. Gottlieb and Anna Marie made the decision to immigrate to America in 1886. They arrived in New York and first settled in Kansas. Within a few years, the family migrated to Oregon where they first settled on a farm near North Plains. A small number of other Volga German families also lived in this area, including the George and Elizabeth Schreiber family. 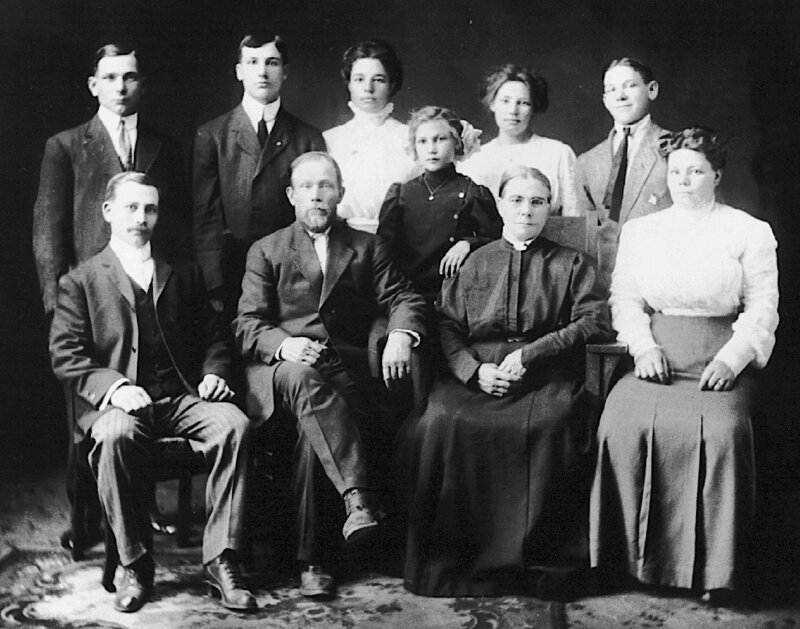 Like other Volga German immigrants (including the Schreiber's) the Weber's had become Seventh-day Adventists, probably during their time in Kansas. The Weber's may have been part of the congregations organized by fellow Volga German Friedrich Jorg in West Union and the Albina Seventh-day Adventist Church which was established in 1889. In 1890, the Weber's are living in lower Albina near the Willamette River on the north side of Russell Street between Goldsmith and the railroad. This location was in the Brendles Addition adjacent to the Albina railroad shops. Anna Maria's parents lived nearby on the south side of Elliott two lots east of Helm. It is possible that the Weber family home was damaged or destroyed during the flood of 1894. In 1900, the family is living at 642 Oregon Street and Gottlieb is working as dairyman. In 1910, the Weber's are living at 687 Oregon Street (now 1915 NE Oregon Street) and Gottlieb is working as a laborer. Around 1915, Gottlieb began working as a gardner according to Portland City Directories. Portrait of the Gottlieb and Anna Marie Weber family. Courtesy of Sherrie Gettman Stahl. 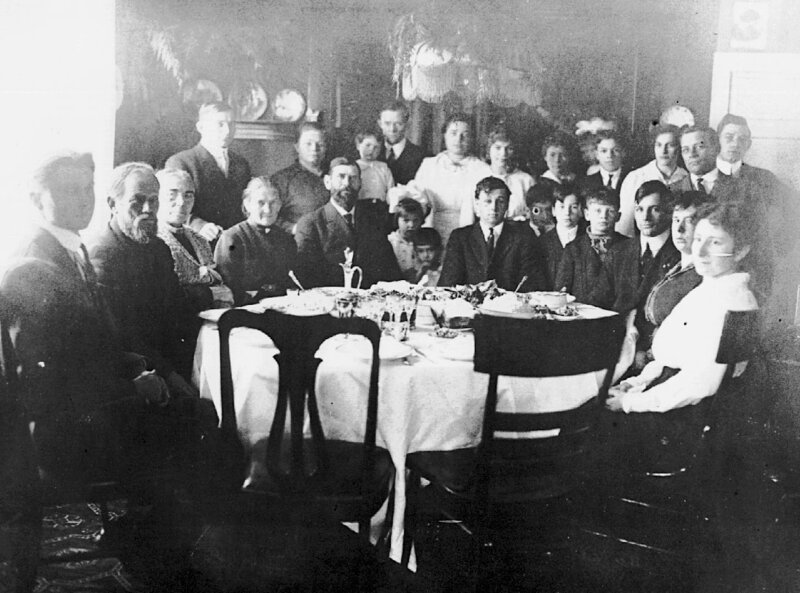 Gottlieb and Anna Marie Weber with their extended family. Courtesy of Sherrie Gettman Stahl. Johann Gottlieb Weber died on January 18, 1919 and was buried at the Rose City Cemetery in Portland. Anna Marie Weber continued living at the house on Oregon Street and died on ​January 5, 1929. She was buried with Gottlieb at the Rose City Cemetery.